Alex amongst the products of Pialligo Estate. Photos: Supplied. Pialligo Estate Smokehouse manager, Alex Petryk, becomes emotional as he starts talking about the absolute devotion the people of Canberra have to his bacon, a product that has virtually developed its own identity. 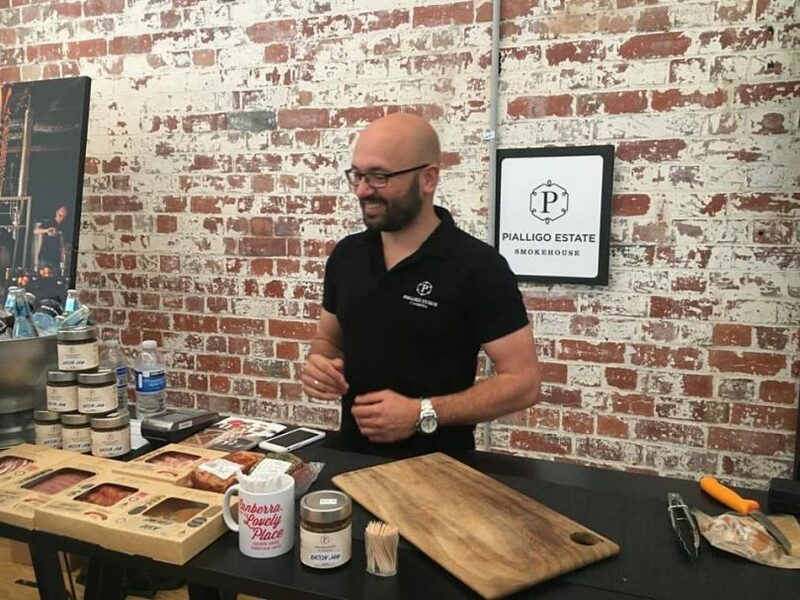 In particular, when the Smokehouse at Hume burned down in 2016, local businesses kept an empty space in their display cases for eight weeks waiting for the iconic Pialligo product to return. To suggest the Pialligo Estate Smokehouse, which sources all of its produce from within Australia, has fully recovered is a significant understatement. If anything, it has grown into a significant Canberra industry. The Smokehouse, based at Fairbairn, started with bacon and just two employees. Now a team of 18 people are producing everything from Smoked Duck to Salmon Gravlax. And don’t forget the popular Bacon Jam! Alex says his job is to oversee the whole process. His pride is evident as he talks about the 114 medals won by the Pialligo Estate Smokehouse at a range of trade shows. This provides an indication of how they benchmark against other similar products. 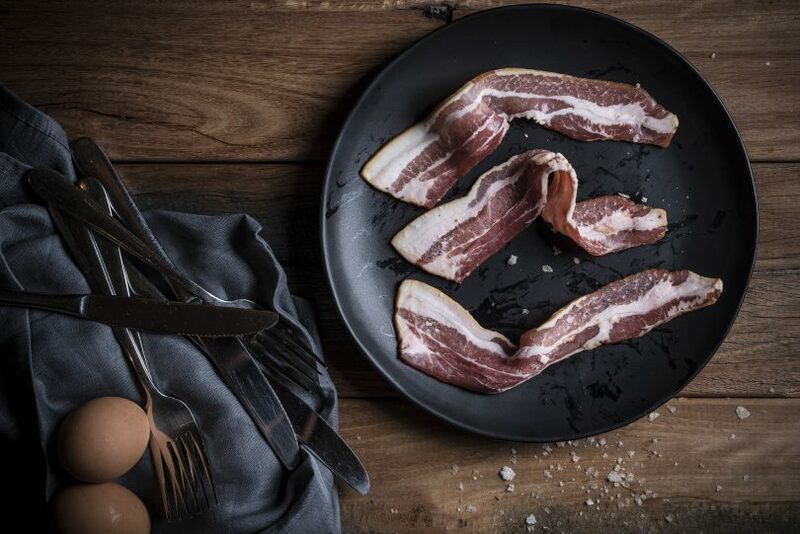 This includes the Australian Pork best artisan bacon in Australia medal, won two years in a row; and the Champion’s Medal, five years in a row, for their smoked salmon at the Fine Foods Show in Sydney. 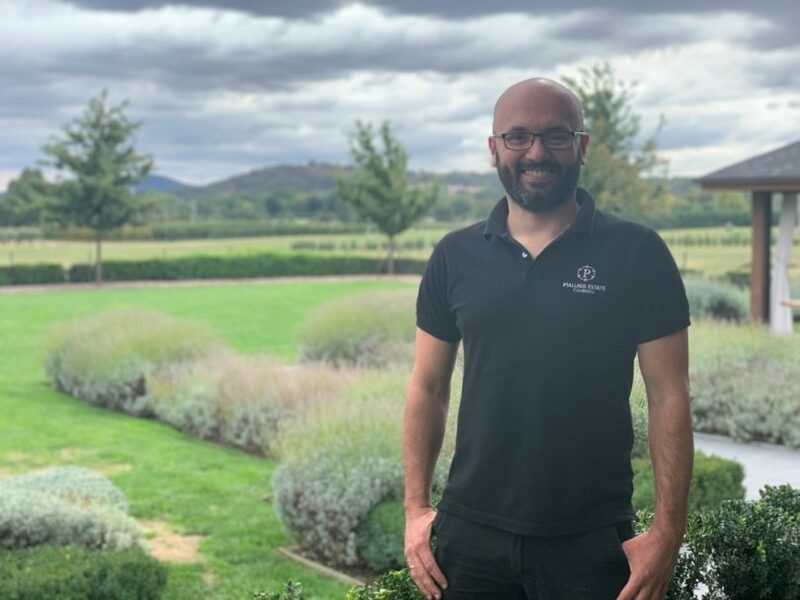 The success is extraordinary considering 99 per cent of the marketing for Pialligo Estate has been driven organically as word quickly spread, resulting in the customer base extending well beyond Canberra to Sydney, Brisbane, Perth and Singapore. The rest of the world is about to taste what Australia has been enjoying with plans to export the produce. Alex says it is just the tip of the iceberg. Alex enjoying the environment at beautiful Pialligo Estate. “The key is to make sure the product is of the highest quality,” Alex says. He has excelled in that area as thousands of satisfied customers attest, while he concedes his wife is bemused by his absolute devotion to his smoked meats, “My wife says I treat it like a baby.” Press him a little more and he reveals that he dreams about it in his sleep! And there is plenty to be proud of in producing one of Australia’s most awarded bacon.